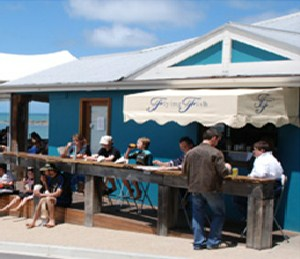 The Flying Fish is situated on the idyllic beach front at Horseshoe Bay, Port Elliot. 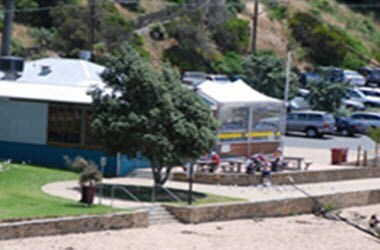 The Flying Fish is an iconic beachside eatery providing dining experiences ranging from early morning coffees while walking on the beach, to relaxing on the open air deck with our famous fish and chips served in a cone, to smart restaurant dining featuring the best South Australian and Fleurieu based produce. 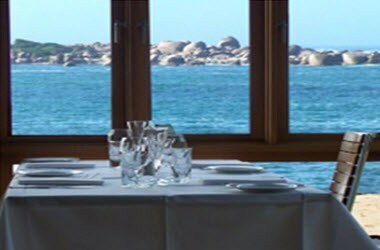 The Flying Fish is a unique venue able to provide a variety of dining experiences from within the one establishment, as well as a fantastic venue for your wedding, birthday party, function or conference. 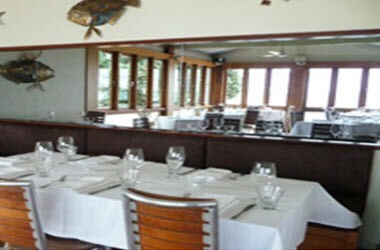 Our focus is always on providing an exceptional food and drinks service, delivered by friendly and courteous staff. 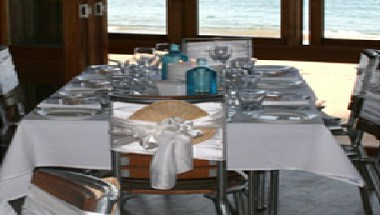 We offer private events for a maximum of 65 people for a sit down function, or 110 people as a cocktail party. Opening Times Cafe & Takeaway Coffee/Snacks 7 days 8.30am – 4pm Lunch 7 days 11am – 3pm Extended Opening Hours Fri, Sat, Sun Brunch Sat, Sun & Pub/Hol 9am – 11am Restaurant Brunch Sat, Sun & Pub/Hol 9am – 11am Lunch 7 days 12pm – 3pm Dinner Fri, Sat all year from 6pm Dinner 7 days from Boxing Day.